Comments Take a look at the fine color of this fully natural and untreated Ceylon Blue Sapphire! A treat for the senses! Glamorous color, flawless cut, fabulous clarity and a powerful persona! A Sattvik and powerful gemstone to deliver the unlimited blessing of Saturn! 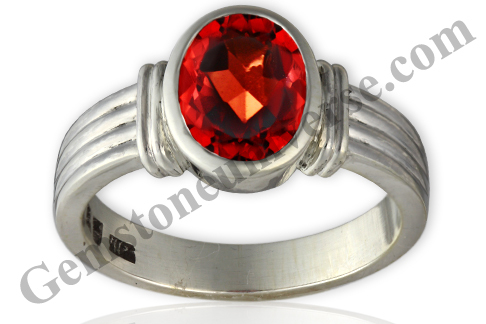 Set in a beautiful sterling silver ring and making a powerful talisman! Comments The healing properties of a Moonstone are legendary! This gem is used also used in crystal healing and is said to be have the powers to aid with making decisions and also used as a protective gemstone when you sleep with it! With potent, serene and calm moon energies this Blue Moonstone is also the best Superior Natural Pearl alternative! The mysterious Blue Sheen is sure to deliver the best results! 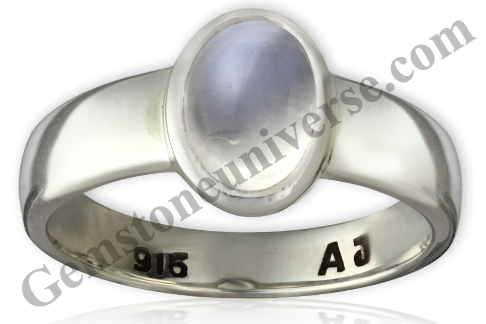 Superior Jyotish Quality Moonstone the substitute gemstone in lieu of a Natural Pearl set in a sterling silver ring! Comments A beautiful Canary Yellow colored beautifully eye clean, perfectly oval shaped fully natural and untreated Yellow Sapphire from the world famous Sri Lankan mines! A gem that is so filled with the Jyotish qualities of Jupiter that it vibrates with a powerful and Sattvik aura! Has make an excellent talisman set in this wonderfully rustic sterling silver pendant! Gem price per carat/The gemstone Pricing Index- The definitive guide to put correct Gem prices like a professional! In an ideal, relaxed and less complicated world we would have been tempted to put the Title of this article as Gemstone Pricing for dummies or Price Gemstones like a Pro in 10 minutes or but alas the world of Colored Gemstones is not so simple. We see individuals spending hours on end search for gemstones price list/ gem prices list or gemstone pricing index and receive countless mails inquiring about the same. Pricing of Gemstones is actually as complicated as their color itself. At the very outset the singular truth we can tell you is that there is NO Gem Price List, No list that enumerates Gem price per carat and there is Not a Gemstone Pricing index. If there was an excel sheet like that wouldn’t all of us want one! And if you can put the price of a Gemstone accurately a lucrative career awaits you. Gemologists and Gem dealers would be willing to pay thousands of dollars just for your opinion let alone retail customers! Colored Gemstones come in a multitude of hues, tones, shades, shapes and that makes it difficult to have a singular definitive price or a gem price index unlike Diamonds where range of color and shapes is very limited. The World of Colored Gemstones Starts where the world of Diamonds ends and is a seamless territory! Then what is the way to identify the correct Gem Price. Is there a methodology to pay the correct Gem Price that delivers value for you and ensures your safety and protection? Rarity is directly proportional to Gem Price-Welcome to the world of Geometrical Progression. There are several factors that determine the price per carat of precious colored gemstones. The prices are directly proportionate to several factors. And also the prices of gemstones do not increase with mathematical progression, rather with geometrical progression. For example, if a gem, which weighs 1 carat, may cost $500, but if all things remain equal the same gem at 2 carats may cost upto $2000 per carat just because a 2 carat Gem would be rarer than a 1 carat Gem. There is no set price range for colored gemstones. The price for the same colored gemstones may vary from as little as $10 per carat upto even $10000 per carat depending upon the quality and several other factors. And for the classic colored gemstones-The classic Big Three of Colored Gemstones- Rubies, Emeralds and Sapphires the costs increase dramatically as the quality and size of the gem increases. 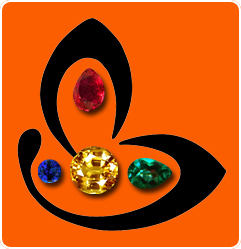 Below are listed some of the factors that determine the cost of colored gemstone. Gems that are rarer than others command a higher price per carat than the gemstones that are available relatively easier. Gems like Diamonds, Sapphires, and Rubies are more expensive than gems like Garnets, Amethysts or Peridots etc. Having said that it is also important to state that even though Sapphires, Rubies etc are more expensive that than the others it also has to be said that some gemstones are more rare than others, like Rubies are far more rare that Sapphires. Hence a Ruby would be of a higher price than an Amethyst just because Ruby is rarer than an Amethyst. Taking Rarity to another level let’s take the price among various Rubies. A Burma Ruby would be priced higher than a Thai Ruby. Why? Because it is more rare than the Thai!. Does this finish the rarity story? No not yet. It’s just starting. Now you know Ruby is more expensive than a Peridot, You also know Burma Ruby is more expensive than a Thai. So what is complicated? Color! A Imperial Pigeon Blood Burma Ruby would command a higher price than a pinkish red Burma Ruby and the story goes on. Hence all Burma Rubies will not have the same price. This is the reason why you cannot have a Burma Ruby Price List or a Ceylon Sapphire price list or an emerald price list. Nature makes precious colored Gemstones over million of years and nature’s capacity to replenish fine specimens is limited. Rarity is the biggest factor that affects Gem pricing and is directly proportional to the Gem Cost. 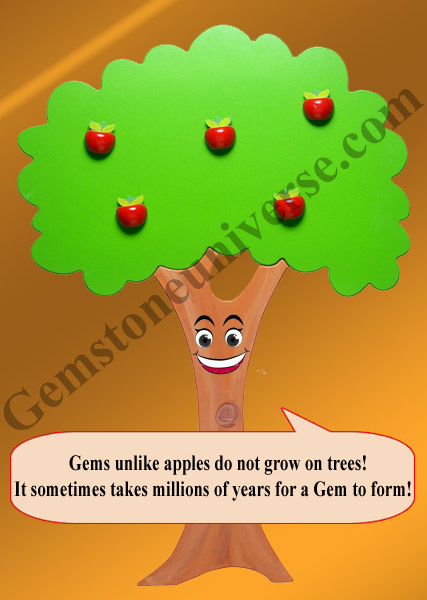 Precious Gemstones unlike apples do not grow on Trees! In today’s world you even pay a premium for fully natural, organic apples without a wax coating so what to speak about Gemstones! Gemstone Color: The Most Vital Factor in Gemstone Pricing. The most important factor that determines the price per carat of a colored gemstone is COLOR! The word color in the world of Gemstones is not so simple. Color is everything in a colored Gemstone. 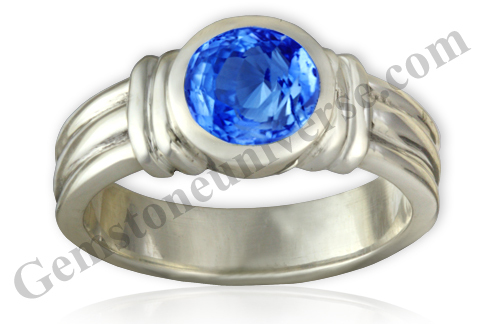 Gemstone color is made up of Hue Tone and Saturation. Just focus on one color to keep this simple. Are all greens same? No they are not. Notice the sheer range of Green. 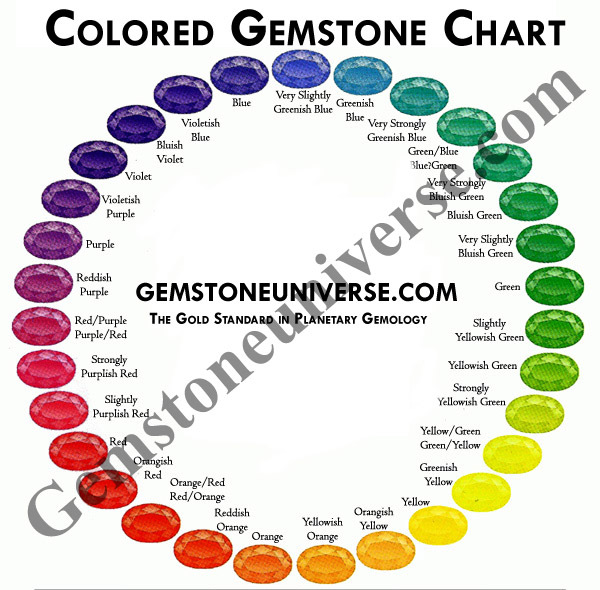 Colored Gemstones Tone Chart- Vivid Tones will increase Gem Price. For example a Zambian mine would produce an Emerald of a Vivid and rich green color, where as a Colombian Emerald would produce a spring grass green color. 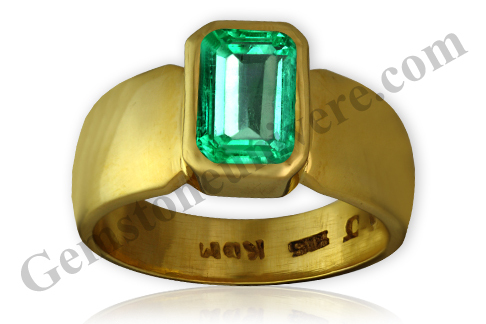 Notice some of the Emeralds rings already featured on the Gemstoneuniverse blog. You can search the blog and you shall also get the pricing for each of these rings. See and evaluate how hue, tone and saturation affect the price. Whatever the shade of color that is native to that region, the purity of color is the one of the most important factor to determine the price per carat of a colored gemstone. Clarity: How Clarity Affects Gem Pricing. The clarity of a gemstone is also one of the important factors that determine the price per carat of a colored gemstone. The rate of a gemstone would increase dramatically as the clarity of a colored gemstone increases. The lesser the visible inclusions the higher the price per carat. Although inclusions that do not hinder the beauty or color of the gemstones are generally acceptable! And also fine inclusions are proof that the gem is natural and untreated. However there are some gemstones in which fine characteristic inclusions are accepted, like Emeralds and to some extent Rubies. Gemologists refer to these fine inclusions in Emeralds as Jardins. Note the difference of clarity in the two emerald rings given below. Cut/Shape: Symmetry is Directly Proportional to Price. The cut of a colored gemstone also has significant bearing on the price per carat. 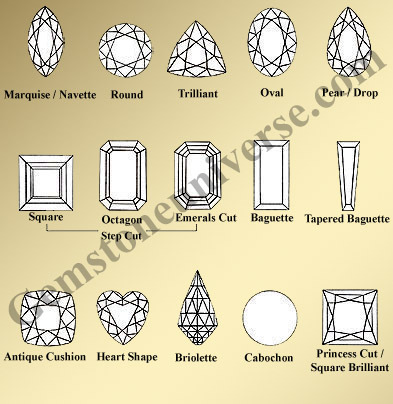 Some gemstones are traditionally cut in particular shapes. Like the Emerald has always commanded more price when fashioned as an Emerald cut, and Sapphires are considered more desirable in the oval cuts. Gem Weight and Size and its affect on Gemstone Pricing. 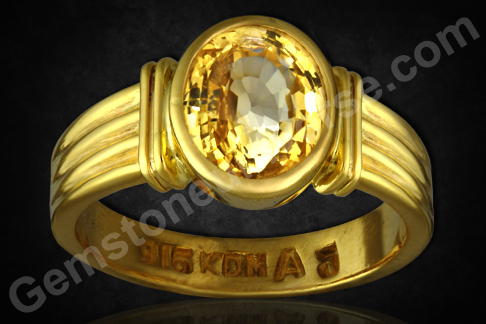 As the weight of the gemstone increases so also the price. If the above given factors are met and a gemstone increases in weight the price per carat of the colored gemstone increases manifold. As mentioned earlier the price of precious colored gemstone increase with geometrical progression. For example a gem’s price may increase in geometrical progression for weights upto 3-4 carats, but colored gemstones of 4 carats and above are priced at a premium even above the regular geometrical progression, as the availability of colored gemstones at such sizes is extremely rare. Even gemstones that are calibrated are more expensive as the wastage percentage increases in order to get gems to one size and shape. Treatment or Lack of Treatment and its effect on Gemstone Pricing! Colored gemstones that are not treated/ enhanced in any manner so as to increase its color or clarity are gemstones that command premium prices. Treated gems are relatively cheaper are may be accepted in few jewelry markets, but untreated and natural gems always have and will always be a premium. It has become extremely rare in today’s market to get untreated colored gemstones with good color and clarity levels, so and untreated colored gemstone with good clarity and color command a premium price. So a heated Blue Sapphire of the same color, cut, carat weight might be cheaper than an Unheated one by 4 times and maybe more expensive than a diffused one by 200 times. Lack of treatment is directly proportional to Gem price. Origin and its effect on Gemstone price! Even though the origin does not often have much bearing on the price of a colored gemstone, the price may shoot up for some gemstones from certain regions. Like a Burma Ruby comes at a huge premium as availability is extremely rare due to several factors. So also Kashmir Blue Sapphires come at a price out of reach of most of the seekers of colored gems as mining in this region has stopped and also the color Cornflower Blue peculiar to this region has been placed at a premium by gem connoisseurs. Supply and availability: Depending upon the source that the colored gemstone has been purchased from the price per carat may vary drastically. From the Gem Mine to the end customer the gemstone passes through many hands. Starting from the mine owner to the retailer! As the gemstone passes from hand to hand, the price increases manifold as each person in the chain keeps some profits and by the time it reaches the end consumer it is out of reach of the common man. 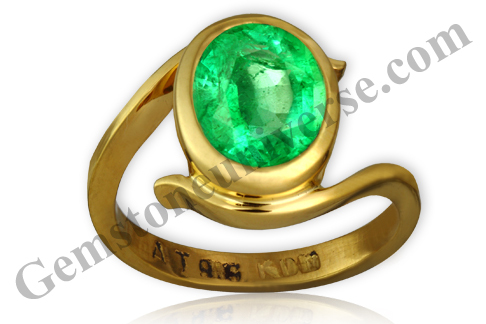 So depending upon whom you purchase a colored gemstone from the price may vary by upto 250 – 300%. Political/ economic Factors-Other Factors that effect Gem Pricing! Gemstones are mined and sourced from areas that are not exactly Picture perfect. Imagine sourcing Rubies from Madagascar with rats and roaches for company, or going to Burma to search for a Natural ruby and getting the company of mafia, military police, mosquitoes and snakes as a bonus or getting emeralds from Afghanistan or Colombia. There are several other factors like this one that effect gem price. Of course there is no Price for a Human Life. So keep in mind the above factors and determine that if you are getting a colored gemstone at a price too expensive for your taste, it probably is! A fine colored gemstone is hard to come by, and to get one that satisfies the above criteria is harder still to get. Colored gemstones are miracles of nature and also very rare. They not only give you lasting value but also color up your life! Contentment is a Pearl of Great Price and whoever procures it at the expense of a ten thousand desires makes a wise and a happy purchase. Team Gemstoneuniverse with inputs from Certified Gemologists and Team members who have experience over two decades of pricing of Colored Gemstones. Comments Notice the blaze of the Sun in this Fully natural and untreated Mozambique red Garnet! With its Deep intimate Red color, this flawless and jewelry grade gemstone is filled with the best and Sattvik powers of Sun! 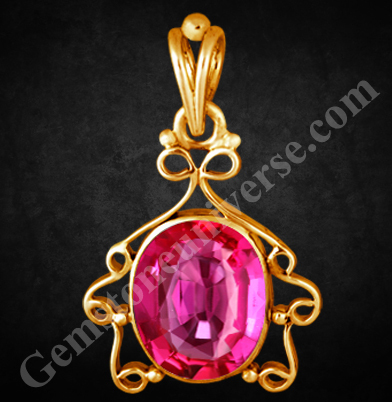 A Jyotish gemstone and the best substitute gemstone in lieu of a natural unenhanced Jyotish Quality ruby – the gem of Sun! Has made a potent talisman when set in this sterling silver ring! Comments The striking feature of this magnificent gemstone is the exceptional clarity! And a wonderful Canary Yellow color and a brilliant cut! And to add to that glorious and Sattvik Jupiter energies! 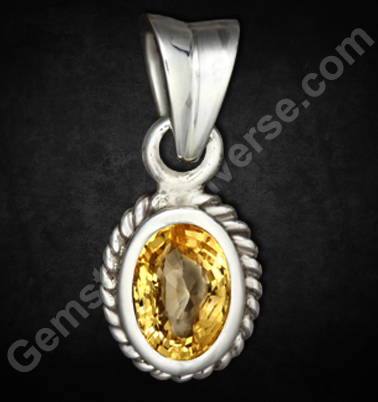 This fully natural and untreated Yellow Sapphire from Sri Lanka is one of those pieces that leave a lasting impression! And will also surely deliver the best and lasting blessing of the planet that is considered the most benefic – Jupiter! 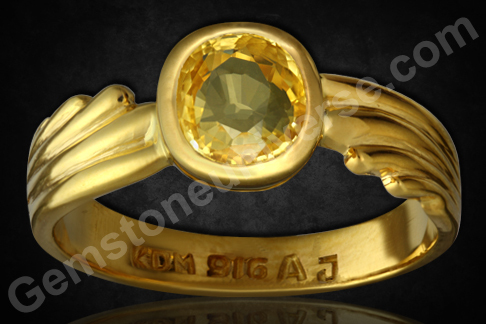 Has made a striking talisman when set in this 22k Gold ring! Comments A lovely gemstone with a pleasing color! Beautiful Neptune green color with shades of Honey! Indeed a rare gemstone with a rare color! And to top it a fine chatoyant band that is perfectly centred! 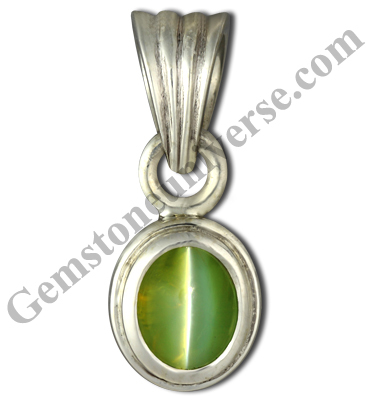 A perfect cabochon to harness the immense powers of the Karmic Planet – Ketu! 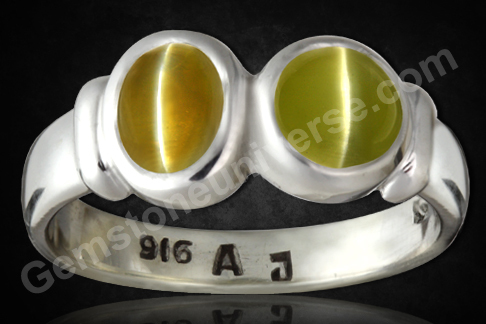 A fully natural and untreated Chrysoberyl Cat’s Eye from Ceylon! A Mystical and Sattvik talisman with potent Jyotish powers of the South Node – Ketu and set in a beautiful sterling silver pendant!